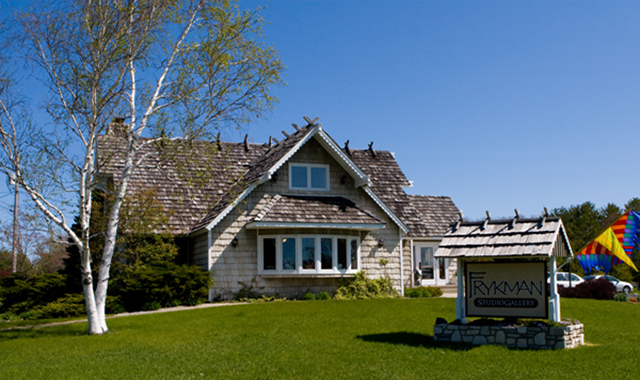 2566 S. Bay Shore Dr.
Frykman Studio Gallery is an art gallery in Sister Bay, Door County, Wisconsin. We feature wood carvings and oil paintings by David Frykman, nature photography by Heather and Lucas Frykman and pottery and sculpture by Steve Jorgenson. The Frykman Studio Gallery is located on Hwy 42, just south of Sister Bay, in beautiful Door County, Wisconsin. Our building is the former Jack Anderson Gallery, across the highway from ShopKo and the Mobil Station. Open wkds, please call for hours.